Antenna makers plaster their products with all sorts of claims, but how many are true? When it comes to buying a TV antenna, the competition is fierce. Manufacturers plaster their websites and boxes with all sorts of claims, some of which are utter rubbish. 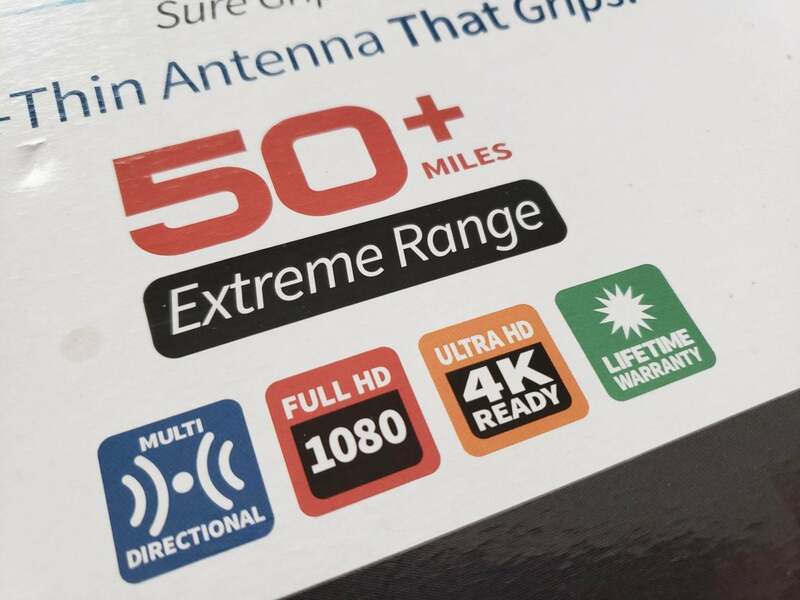 To help you cut through the marketing-speak, TechHive has this quick guide to some of the boldest and most useless claims made in TV antenna marketing. Don’t let any of these claims sell you on a particular antenna. Instead, our guide to picking out an antenna will help determine exactly what you need at your house, and our antenna review roundup will help narrow your choices. The advent of digital TV ushered in high-definition broadcasts that necessitated a new TV, but not a new antenna. As long as you can get a strong enough signal, you’ll be able to watch a digital station in whatever format it’s broadcast in. Even an antenna from 40 years ago will work. 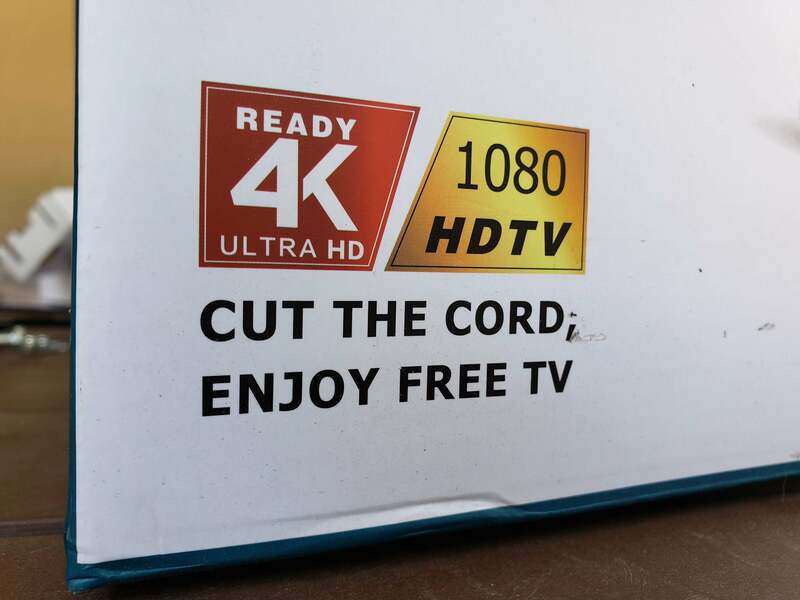 Oh yeah, the latest variation on this is “UHD 4K Ready.” It’s just as meaningless. Ignore these logos, they mean absolutely nothing. Numerous factors affect TV reception, from the power of the TV transmitter to how high your antenna is mounted. With indoor reception you also have to consider the material a house is made from. Your distance from the TV transmitter is important for sure, but so are the size and number of hills in the way, large buildings nearby, and even the trees in your yard and your neighbor’s yard. Simply put, there’s no way these range figures guarantee anything. They are useful for comparing different models from the same manufacturer—better range usually indicates a more sensitive antenna—but because there is no standard, the comparison doesn’t necessarily work between brands. At best, the range figure holds true for a high-power TV signal traveling across flat ground with no hills, large buildings, or other obstructions on the way to your house. Almost all TV today is digital, broadcast as a stream of bits across the airwaves that are received and decoded by your TV. With older analog broadcasts the quality of the picture would vary depending on the strength of the signal being received and any local interference, but not so with digital. There’s a pretty fine line between getting a perfect picture and getting nothing at all. In between is a small zone where the picture breaks up and becomes blocky, but you won’t want to watch that. In short, a better antenna never brings a sharper picture. Add this claim too to the list of marketing speak.